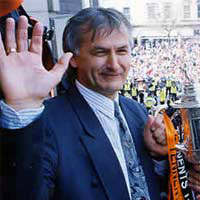 As he had promised manager Ivan Golac rang the changes following the disappointing manner of the defeat by Celtic as the Champions elect came to Tannadice. Out went Dave Bowman and Paddy Connolly whilst Dave Narey was rested, not being considered for a second match in three days. Youth was given a fling with David Hannah, Gary Boilan and Andy McLaren all starting the match. Rangers showed even more changes from the one which had drawn with Aberdeen. The visitors had the luxury of Hateley and McCoist on the bench, paving the way for Duncan Ferguson to start a game for the first time in over six month. There were still plenty of big guns in the Ibrox line up and two of them produced the closest moments to a goal in the first half and on each occasion they brought out stunning saves from Guide van de Kamp. 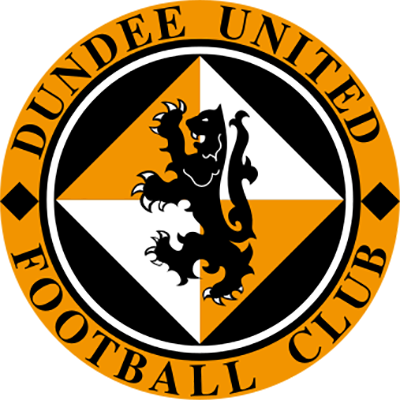 Gordon Durie posed the early problems with two clean-cut strikes, the second of which was an angular drive from the right which United's Dutch keeper was at full stretch to tip over. Gradually, United began to look dangerous with runs by Alex Cleland and Andy McLaren prominent down the right. But overall the action was all too fast and furious and riddled with stoppages for any flowing football. 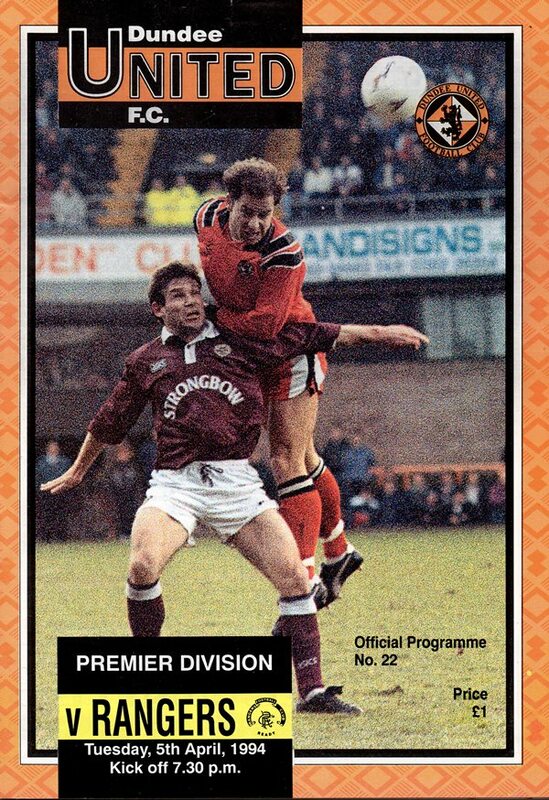 The highlight of that opening half was conjured up by Stuart McCall who produced a quite scintillating first time volley from 25 yards which Guido van de Kamp had to be at his most alert to tip over the bar. The quality of the game improved after the break and United enjoyed their best spell of the game so far in the early stages of the second period. It was Andy Goram tested in the 53rd minute when he was grateful to palm over Billy McKinlay's first-timed angled drive from the left as it sped to the corner. Five minutes later Bollan charged in from the left and rose to meet Alex Cleland's cross and again Goram was just to turn the ball round the near post for a corner. Rangers retaliated, Mikhailitchenko headed tamely past the near post from Duncan Ferguson's headed knock down and the former United striker was on the verge of claiming his first goal for Rangers until Guido van de Kamp intervened and blocked his shot when he was right through. Goram limped off after tearing a thigh muscle as he kicked a clearance upfield and Ally Maxwell substituted. Hateley replaced Durrant for the final ten minutes, but it was United who came closest to scoring when Maxwell went down quickly to clutch a low driven shot from Andy McLaren after he had cut in from the left. With three minutes left Jerren Nixon came on for Andy McLaren as the game petered out to a finale which had always looked on the cards - a goalless draw. It is obvious from our performance against Celtic last Saturday that far too many of the players had their minds on next Saturday's semi-final, but what they must realise is that every game must be treated as though it was a semi-final. It is very much my belief in football that winning nothing is the worst habit you can develop and that means going out with the intention of winning EVERY game, so I want to see us win all our remaining games. I can fully accept the players having the odd off day, but recently this has become too much the norm and no team can win things with the way in which we have been giving goals away without making the opposition work for them. By reaching two semi-finals this season the players have done better than I expected in my first season, but even that could have been improved upon. If the players want to stay with me next season, I will not accept average performances and as I only want winners in my side, this will ultimately mean changes in personnel if the players don't knuckle down. There will definitely be alterations in tonight's side to face Rangers. 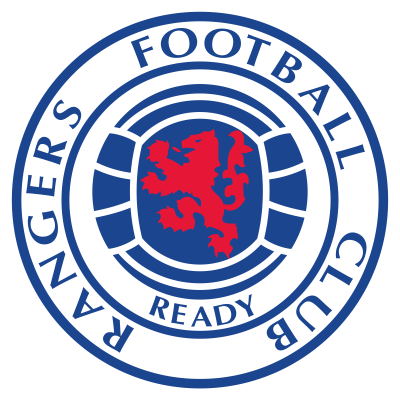 We cannot win the Championship, but we can still have a say in the destination of the title as we also have to meet Rangers at Ibrox. For the moment I am only looking as far ahead as tonight's game and we must devote all our concentration to getting back to winning habits which'have eluded us recently and that means any thoughts of Saturday's semi-final must be completely dismissed from the players minds, because if they aren't, then the players concerned won't even be at Hampden next Saturday.